Review of the book ‘Dictated by a Human, Written by a PC’. Omar Gunnoo (member of Dyslexia Association of London) read the book and provided his view. “It will bend more than just space and time, but your mind too”. The author, Stephen Voller, is ex-army and now works as a security guard. As a sufferer of dyslexia, he wrote this book to show other people that have learning difficulties that with hard work almost anything can be achieved. He hopes to inspire other people to achieve their goals. Dictated by a Human, Written by a PC is a novel by first-time author Stephen Voller. 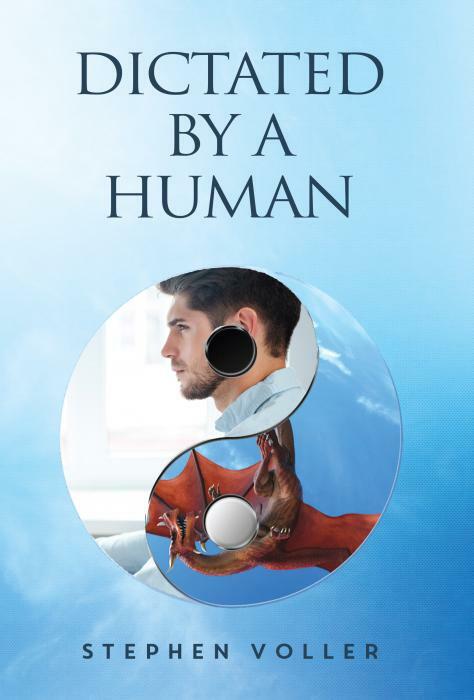 As the title suggests, this story explores the flaws of ‘humans’ in their capacity to provide leadership. In the preface of the book, Stephen writes that he is dyslexic and that writing this book is a personal triumph for him. This certainly sets an intriguing tone for what is to come. Though the writing itself present at a somewhat novice level, the story itself contains an unexpected depth. This whirlwind galactic adventure will bend more than just space and time, but your mind too. Enter Peter Wong, the protagonist of the story. He is a journeyman with a colourful background. His decisions are guided by his experience of being a former soldier in the British Army, a student of martial arts and a practising Buddhist. He has a strong sense of fairness which stems mainly from his life struggles, particularly around having dyslexia. However, inadvertently such a path has given Peter the opportunity to be exposed to a wide array of other experiences that have ‘life education’. For example, through his travels, he has developed an affinity for south-east Asian people, culture and religion. Peter’s dyslexia s is a cognitive strength of his where he can apply a multi-perspective approach to problem-solving. It has also given him a mental toughness which he has drawn upon whether fighting the battles of keeping his family or keep a Muay Thai fighter at bay. Mr Wee is the only other significant character. He is the central ‘ruler’ of the planetary system, Peter finds himself in. The rest of the population is based upon a class system; ‘mother-borns’ who are the elite ‘natural born’ people and the clones, who are basically slaves to the mother-borns. Peter has the aid of a hand Robot Number 4, who acts as a conduit for information. At the beginning of the book, Peter is participating in a Tai Chi competition. Although being 59 years of age, Peter relishes his ‘underdog’ status and as always, he is determined to do his best. After a fatal motor accident, Peter finds himself waking aboard an unknown ship, in an unknown time in an unknown universe. He quickly learns that his old self is dead and that the memories of his old-self has been transplanted to his now clone body that is 25 years old and a perfect fighting specimen. In addition, his dyslexia has been ‘engineered’ out of him. His role now is to battle in tournaments which the government use as a way to settle disputes between planets. Peter has no choice or will die. A.O. Gunnoo is an author, book reviewer and passionate advocate for neurodiversity. He has ADHD and is a dyslexic Dad. His wrote his first book, Zach in The Land Down Under, for his son. It documents Zach's first trip at 5 month’s old to Australia, the place his father grew up. It was while completing the book that he became aware that he was dyslexic and had ADHD. He describes the project as “a personal triumph for me, not only in seeing it through but also in unlocking the ultimate puzzle that was my life”. He hopes that after reading his book other people can be inspired by his experiences and strive beyond perceived limitations to achieve their own goals.